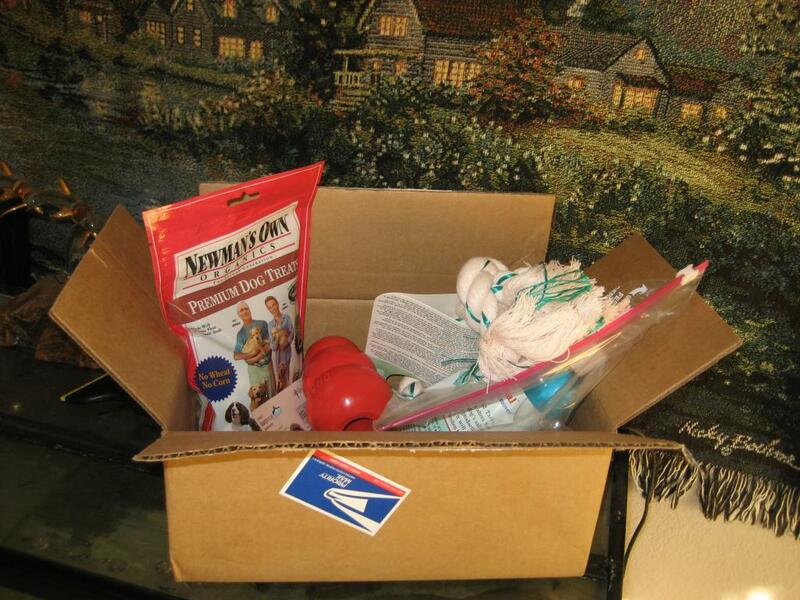 hello nice reederz its dennis the vizsla dog well i noo that wun day i wood strike it rich and it has finaly happend thanx to my gud frend kathryn at 4urpets and the empty nest just luk wot came in the mail for me today!!!!!! loot loot loot loot loot loot loot loot loot loot loot loot loot loot loot loot loot loot loot loot loot loot loot loot and luk wot is rite in the middel of this heaping pile of loot!!!!!! 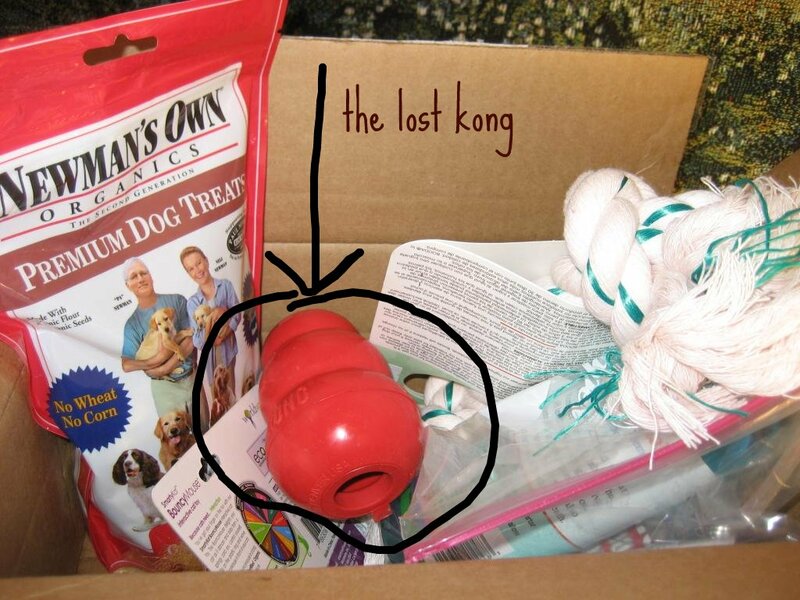 yes thats rite it is wun of the lost kongs that i hav been serching for now i cant tell yoo wether or not i fownd the anchent lost kong becuz that wood spoyl the surprize wunse dada finly finishes kollating my feeld notes (lets try to get on the stik there dada) but i can tel yoo that my kolleegs at the skool of ark … arkeol … the skool of old stuff hav awthenticayted this as a jenuine lost kong wow thank yoo kathryn this was verry verry kind of yoo i cant remember the last time i got so much loot at wunse oh wate yes i can it was NEVER!!!!!!! I am glad you like all your loot. You deserve it. But….if you give that bottled stuff to Trouble, I GAR AN TEE she will be nicer to you, and the whole world! Ooh – you got nice loot too! Congrats! Woo-hoo! What’s your next holiday, so this can be a holiday gift? It’s Canada Day here today. Oh, right — Happy States Day!!! You have an awesome friend! Wow! Only give Trouble a wee bit. You know she’d never share with you! Wooohoo! 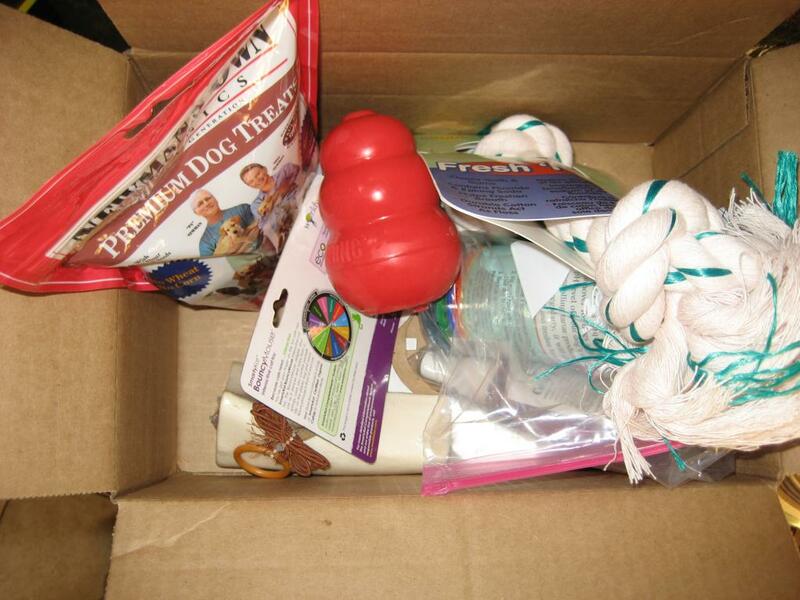 What a nice haul – Dennis you did very well!!! WOW! You sure did rack in a ton of goodies! Way to go! That Kathryn sure is one nice woman! Whoa…it looks like Petco on your blog Dennis. That’s some nice stuff. Kathryn is so sweet to think of you like that. You are one lucky dude! So are you sharing anything with Tucker?